As winter nears, the weather turns cold and running can become quite difficult. What is an athlete to do? It’s not a good idea to run with bare or unprotected legs during the cold months, which is why it’s important for regular runners and athletes to invest in cold weather running tights. Below we breakdown the five best cold weather running tights that are certain to keep you warm, cozy and dry. We also share what to look for when purchasing a pair and which are better in certain temps. Running tights are a specific form of legging designed for runners. There are a few different types, including cold and compression. Compression tights keep the muscles close to the body and prevent unnecessary movement while keeping the blood moving. 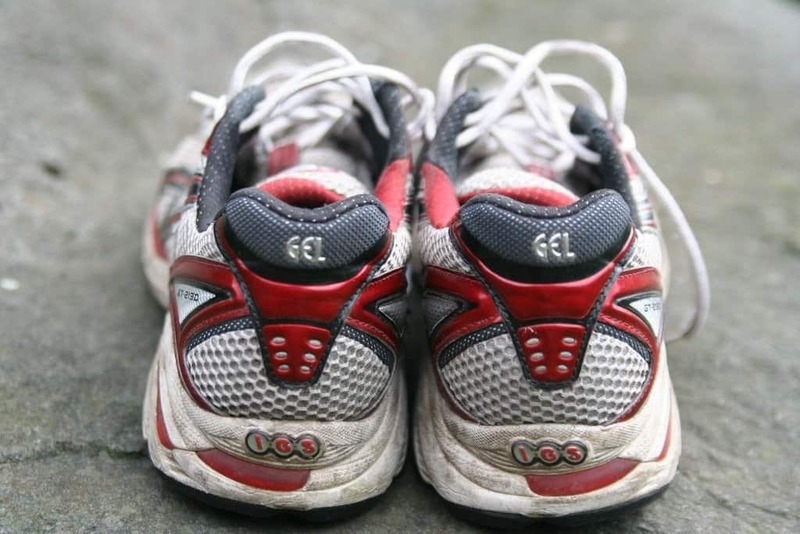 These are frequently used by runners who desire to improve their circulation, and they are even used in the medical field. Cold tights are specific leggings designed to insulate and keep the legs warm. These can be lined with fleece, made out of special materials, or thicker than average. The main idea is to preserve core body temperature without overheating, which can be dangerous. Why Are Running Tights Important? 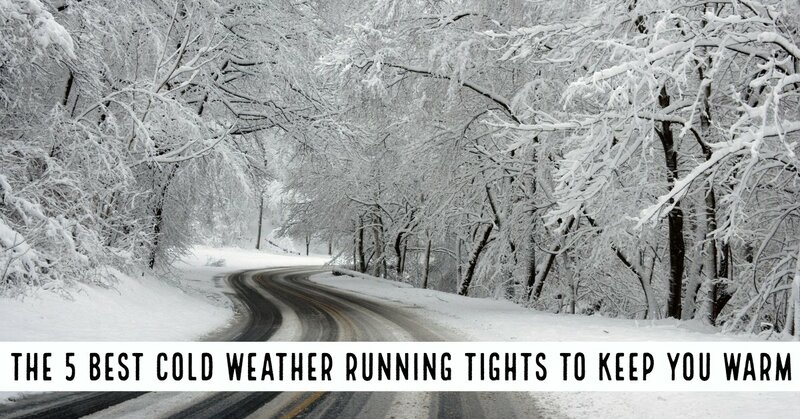 Running tights, especially cold running tights, help regulate body temperature by allowing cold out and keeping heat in. They can also compress the legs to improve circulation, although this isn’t their main function. Many athletes wear cold weather tights to stave off illness or potentially deadly conditions like hypothermia. 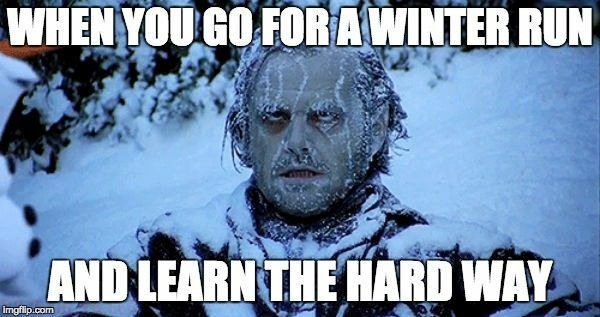 According to the Mayo Clinic, hypothermia is a dangerous condition when the body loses heat much faster than it can generate it. This causes numerous deaths each year, especially because people aren’t always the best about protecting themselves from the cold. For runners, it poses a unique danger since individuals can struggle to recognize when they are getting dangerously cold – after all, they are still burning energy and will feel warm or hot from the activity. Therefore, it’s important to be safe by wearing the proper equipment and take the right steps to protect the body. How Cold Can It Be? This is an important question for athletes and one that heavily influences exercise decisions and what to buy. In general, individuals should avoid running outdoors in temperatures below twenty degrees Fahrenheit as the situation can become dangerous quickly. In particular, there is once more a risk for hypothermia. Is someone chooses to run anyways, they should not only rely on cold weather tights. Instead, the tights should be a base layer over which another pair of pants should be laid. While this will effect running times, it will keep the individual warm enough to exercise properly and prevent the hazardous loss of heat. All of the leggings listed here should not be worn solo in any environment below thirty degrees Fahrenheit. The Baleaf thermal fleece running tights are made for men and women out of 90% polyester and 10% spandex. The interior is fleece for extra protection, which should keep the legs warm. The exterior includes moisture wicking technology which pushes sweat away from the body, preventing uncomfortable moisture buildup that can cause odor, fungus, or extra cold. The waistband of the leggings (or tights) is made of elastic designed to fit around most waist sizes. The legs have small zippers around the calf to improve the fit. The zipper should not pinch or be uncomfortable against the skin. Unlike many other examples of cold weather leggings, the Baleaf variants have extra reflective elements so a wearer is visible in the dark. A typical pair costs anywhere between $20 and $40. There is a pocket in the back with a zipper for phones to sit. 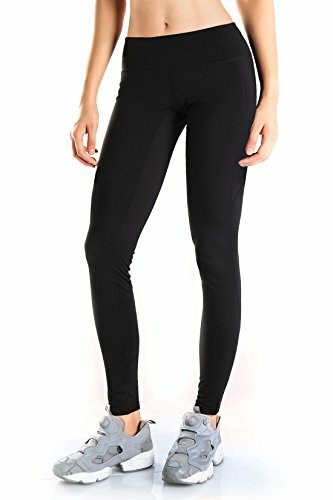 In general, these are a good pair of leggings for people to use, especially if they are seeking flexibility and general comfort. The DRSKIN compression cold weather leggings are made for men and women and come in over thirty different colors and patterns. They are designed to fit close to the legs and keep the blood moving even in cold environments. The material is non-abrasive but does not have a fleece lining, so they should not be worn in any temperature below forty degrees Fahrenheit. The fabric should be moisture-wicking and facilitates a two-way air flow so fresh air always reaches the skin. The material also blocks UV-radiation, which is still a threat during the winter months. A single pair of the DRSKIN leggings costs between $10 and $20. 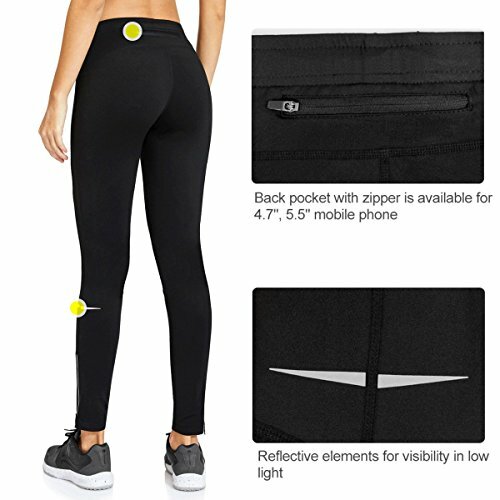 The fabric is extremely soft and weighs almost nothing, so the leggings are quite flexible. 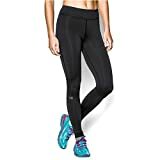 These cold weather leggings are one of the least expensive options currently available to runners, usually costing between $10 and $20. They include a fleece lining and are made for adult men and women. The manufacturer recommends that they don’t be used in temperatures lower than 30 degrees Fahrenheit for individual safety. The Tesla leggings are highly customizable, coming in over twenty-five different colors and patterns. They have an elastic waistband and are made from flexible materials for a tight, body-conforming fit. They do NOT include any moisture-wicking but are relatively waterproof and are designed to facilitate the movement of air. They appear to be made of 87% polyester and 13% spandex. 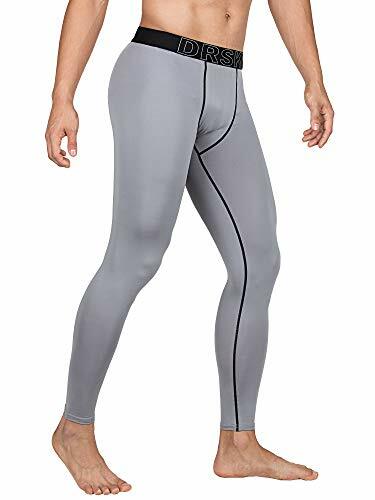 In general, they are a good option for runners on a budget and make an excellent base layer to go underneath an even thicker pair of pants. 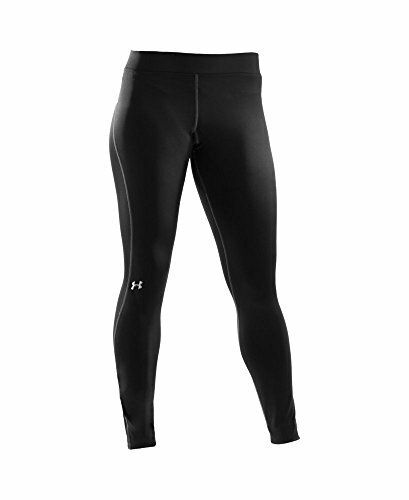 The Under Armour Cold Gear leggings are designed for men, women, and children and are made from a material designed to wick away moisture and sweat. They are not waterproof but work well at keeping the legs dry in regular weather conditions. The waistband is made in elastic and the pants primarily come in straight sizes with a few plus size options available. They do not have pockets but work well in conditions as low as 20-30 degrees Fahrenheit. Under Armour is one of the few manufacturers to include anti-odor technology that it claims targets bad smelling bacteria that creates scents and mold. 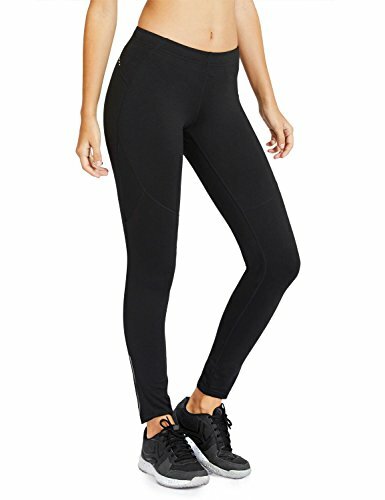 A typical pair of these leggings costs between $40 and $60 but are projected to last through at least a year of regular use. They also come with some additional features, including extra protection for even colder environments. The Yogipace running tights are specifically fleece-lined to improve heat retention and provide extra comfort and warmth. The manufacturer made this model for days between 30 and 50 degrees, meaning they shouldn’t be used in snowy environments but are still good for late fall and early December – depending on location. These running tights come in men’s and women’s models and are water-resistant but not waterproof. They have an elastic waistband that can be adjusted with a drawstring for improved fit and comfort. There is a pocket in the back with a zipper for easy storage that is large enough to fit a phone or wallet. There are also additional side pockets. The average pair of these tights costs between $30 and $40 and should last for at least 1-2 years. They do come in petite and plus sizes. Care instructions are included and the fit is soft and comfortable. These cold weather tights are ideal for individuals who live in warmer climates but still experience cooler days. As an added note, wearing cold weather running tights isn’t the only precaution an individual should take when choosing to exercise in the fall and winter. We provide additional useful cold weather tips, such as wearing bright clothing, warm gloves, avoiding exercise on snowy or icy sidewalks and terrain, and monitoring traction here.